Interstate 635 runs north-south mostly in Wyandotte County. A small portion at the south end runs into Johnson County. 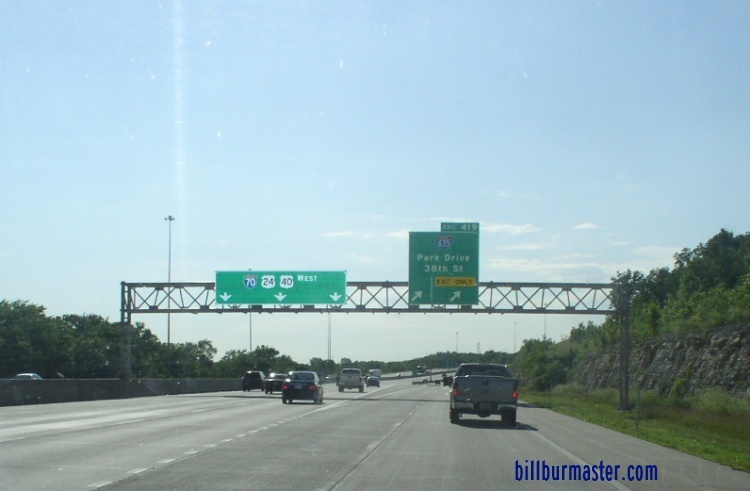 It goes from Interstate 35/U.S. Rt. 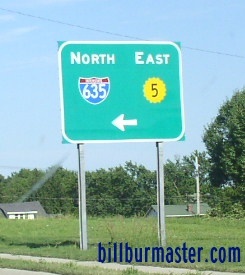 69, north to the Kansas/Missouri State Line at the Missouri River in Kansas City. 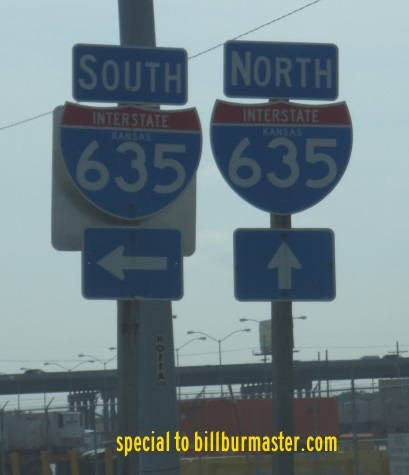 In Kansas, I-635 is multi-plexed. 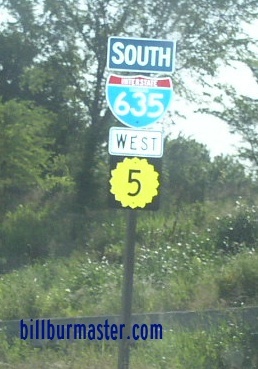 ...Kansas State Route 5, from Levenworth Road to Sunshine Road in Kansas City. 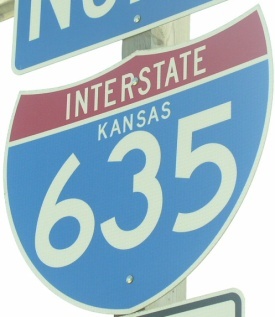 Interstate 635 crosses the following interstates in Kansas. 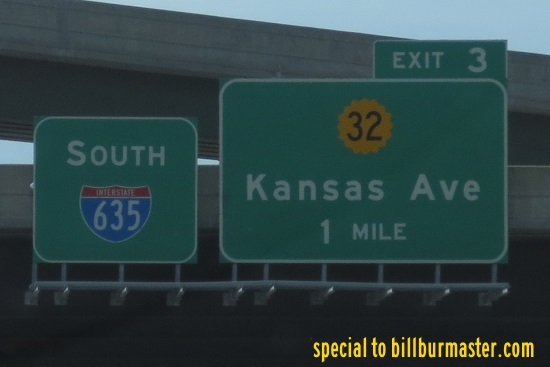 Interstate 35, at Overland Park. Info on the parent route for I-635. 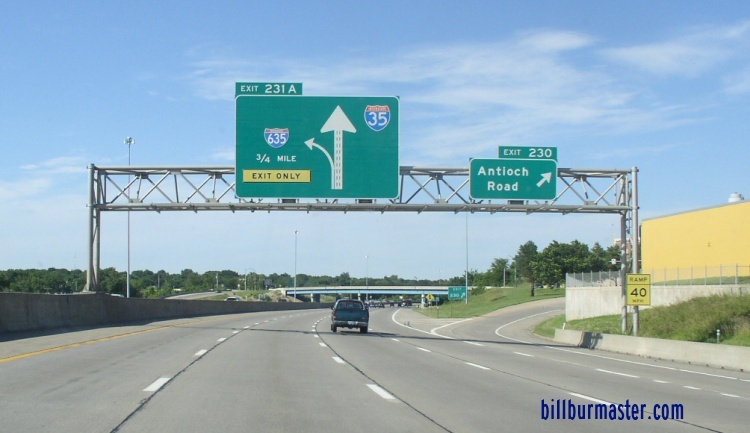 A BGS on NB I-35. 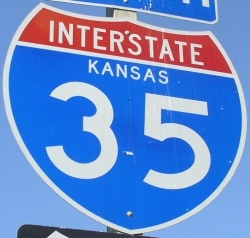 A guide marker on EB KS St Rt 32. 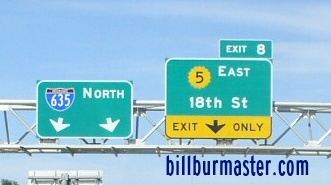 A set of guide markers on EB KS St Rt 32. 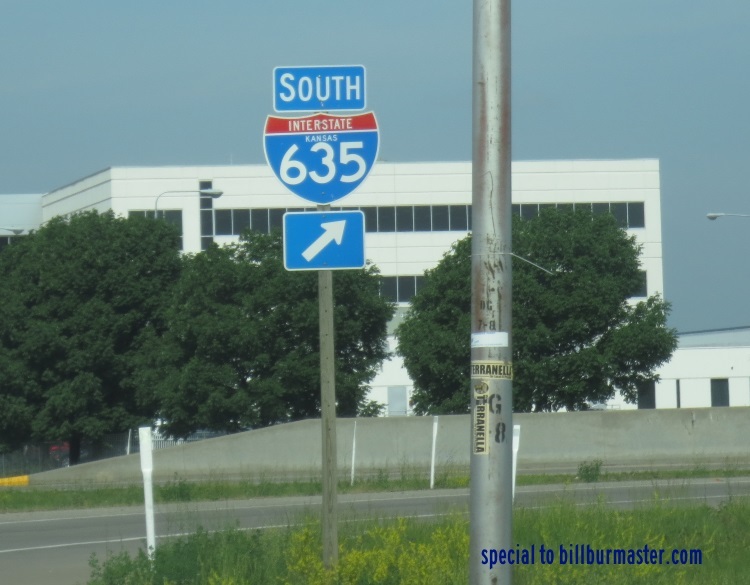 A BGS on SB I-635. 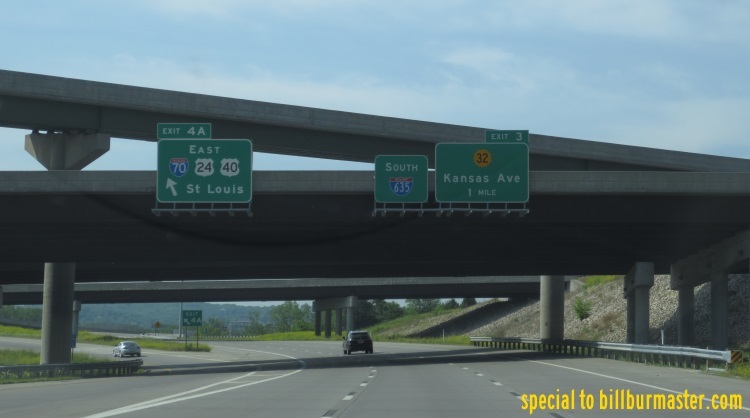 WB I-70/U.S. Rt. 24-40 at I-635. A BGS on Levenworth Road. 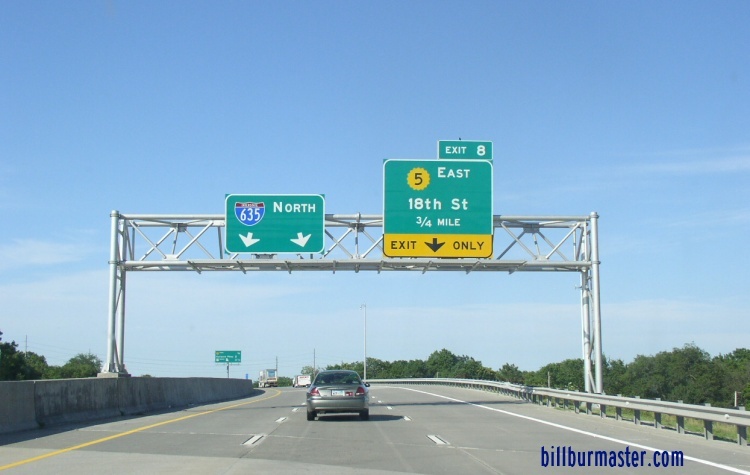 NB I-635/EB KS St Rt 5 in Kansas City. A BGS on NB I-635/EB KS St Rt 5.